Congratulations to the 2019 cheerleaders: Maddie Webb, Harlee McKaskle, Alexia O'Neal, Karleigh Bramlett, Haleigh Rogers, Mallory Williams, Lexi Loomis, Deonna Williams, Tana Grisgsby, Harmonee Griffin, Trinity Edgin, Kelsey Webb, Kaylyn Bentley, Macy Ward, Lillianna Lewis, Prailey Graham. Way to go girls! Everyone enjoy your spring break. See you all March 25th! Parent/Teacher conferences will be 3/14/19 from 2:30-7:00. School will dismiss at 2:00 on Thursday. PTO will be selling cookbooks during the conferences for $15.00 each for anyone who would like one. The baseball and softball games scheduled for home today have been changed to away games. The games are now in McCrory starting at 4:30. Barton Choir/Band will have a bake sale and Valentines Concert on Thursday, 2/21/19 at 5:00 pm in the Kirkland Facility. Please come and support our students! Barton Elementary 's Scholastic Book Fair is still going on but will end this Friday, February 15th at 1:00. All sales benefit our school library. Thank you for your support! BLSD will run a double route today, Thursday, 2/7/19. Bus 27 will be about 25 minutes late today. Barton Junior Class is selling Val-O-Grams for $1.00 each until next Tuesday, February 12th. They will be sold in each classroom. Thank you in advance for your support. BLSD: Basketball games scheduled for tomorrow, 1/31/19, against KIPP will begin at 6:00. BLSD: Basketball SR. Night will be tonight. Parents and escorts need to be in the gym by 5:30. Barton Elementary is hosting a Semester Awards Program on Monday, 1/28/19, in the Kirkland Facility. Kindergarten-2nd Grade will be at 1:30. 3rd-6th grade will be at 2:00. Parents are welcomed to come. Invitations were sent home today, January 24th, with the students that will be recognized. BLSD will not have classes on Monday, 1/21/19, in observance of Martin Luther King Jr. Day. BLSD will run a double bus route today, January 15th. Bus 31 will be held for about 25 minutes. There will be a PTO meeting today, 1/14/19, @ 5:00 in the Kirkland Facility. The public is invited to attend. BLSD: Classes will dismiss at 2:00 on Friday, 12/14/18 and Monday, 12/17/18. School will dismiss at 1:00 on Tuesday, 12/18/18. Winter break will begin Wednesday, 12/19/18. Classes will resume Monday, 1/7/19. We hope everyone has a safe and happy holiday break! Barton Band/Choir Winter Concert will start at 6:30pm on December 6th in the Kirkland Facility. Admission is FREE!!!! Chili dinners will be sold. $10 adults $5 students Come support our band and choir!!! Barton Lady Bears Softball is hosting Breakfast with Santa tomorrow, 12-1-18, in the Kirkland Facility from 9-11:00. The menu is pancakes, sausage, eggs, coffee, chocolate milk, and juice. Children can make reindeer food, write letters to Santa, color holiday pictures, and more! Santa will arrive at 9:30 to visit and take pictures with children. A photographer can take and print pictures for $5.00. Pictures will be mailed at a later date. 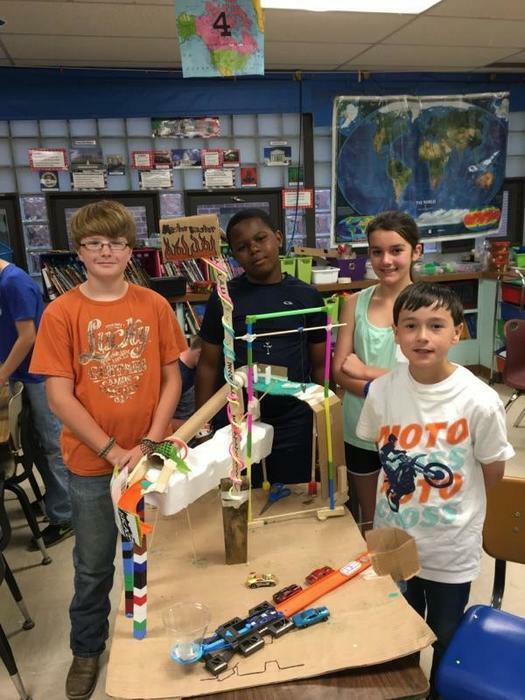 BLSD is hosting an Out of this World free, family S.T.E.A.M. night tonight, 11/29/18, in the Kirkland Facility from 5:00 to 7:00. Free chili supper and activities that incorporate science, technology, engineering, arts, and math! We hope to see everyone there! The Barton Bear Challenge (Punt, Pass, & Kick) is today, 11/28/18 at 12:30 on the football field. Barton's Lettermens Club will meet On November 23rd from 1-3 at Pizza Hut in West Helena. See the school's Facebook page for information. Barton Lexa School District will be closed November 17th-25th for the Thanksgiving holiday. We hope everyone enjoys the break! BLSD: Classes will start at regular time today, Thursday, November 15th. Please drive carefully. BLSD: The 1st grade field trip scheduled for tomorrow has been postponed to Friday, December 7th. We will send a call out by 6:00 tomorrow morning with a decision on school tomorrow. A call will go out either way, if we have school, delay school, or cancel all day. Barton PTO will meet today, November 12th at 5:00 in the Kirkland Multipurpose Facility. Everyone is invited to attend. Barton Booster Club rescheduled the Barton Bear Challenge (punt, pass, and kick) to Wednesday, November 28th due to weather. Thank you. Barton PTO will meet Monday, November 12th at 5:00 in the Kirkland Multipurpose Facility. Everyone is invited to attend. BLSD will run 2 double routes today, Friday, 11/9/18. Bus number 27 and 29 will be held about 25 minutes. Also, school will dismiss at 2:00 today. BLSD: Dismiss at 2:00 on Friday, 11/9/18. Safe travels to those traveling to the 1st round of playoffs at Harmony Grove in Camden. Go Bears! The Barton Booster Club is hosting the Barton Bear Challenge (Punt, pass, and kick) on Tuesday, November 13th. All money and permission slips are due by Thursday, November 8th. Thank you. BLSD will run 2 double routes today, Friday, 11/2/18. Bus number 27 and 29 will be held about 25 minutes. BLSD: The phones are working again. Thank you for being patient during the down time. BLSD: Phones are currently down. BLSD is hosting the annual Barton Community Fall Festival on Monday, October 29th from 5:00 to 7:00. There will be Trunk-or-Treat, haunted house, hayride, bounce houses, games, and much more. Student Council is hosting a food drive during the festival. You will get a piece of candy for each can good you donate. King and Queen crowning will be at 7:00. Come join us for a SPOOKTACULAR evening in your FABOOLOUS costumes! Barton-Lexa School District supports the Arkansas Prescription Drug Take Back Day on Saturday, October 27th. Phillips County Take Back sites are: West Helena Police Department, Sheriff's Office, Hickory Hill Pharmacy, and Marvell Police Department. To find a drop box near you visit: www.artakeback.org. Did you know people who abuse prescription drugs often get them from family and friends? Make sure your loved ones are safe by returning your unused or expired medications to one of the many Arkansas Take Back Collection Sites around the stat. Cookie Dough is ready to be picked up now if parents would like to come to the gym lobby before school dismisses. Students that sold cookie dough can pick up their orders today after school to 4:00 in the gym lobby. Students that sold 3 or less boxes will be sent home with their order. BLSD: Parent Teacher Conferences- Thursday, 10/18/18, from 2:30 to 6:30. School will dismiss at 2:00 on 10/18/18. Parents can not wait on campus for the conferences to start. There will not be any classes 10/19-22/18 Please enjoy your fall break! Barton Lexa School District will run a double route today. Bus 27 will be held for about 25 minutes today, October 16th. We apologize for the inconvenience. Thank you. Barton Lexa School District will run a double route today. Bus 20 will be held for about 25 minutes today, October 11th. We apologize for the inconvenience. Thank you. Barton Lexa School District will run a double route today. Bus 17 will be held for about 25 minutes today, October 8th. We apologize for the inconvenience. Thank you. BLSD is celebrating 150 years!! We would like to invite all Barton-Lexa-Lakeview-Oneida alumni to the homecoming football game on October 5th to be recognized. Each decade will be represented during halftime in the stands. We will also recognize 1978 and 1988 state championship football players. Help spread the word and hope to see everyone there! BLSD Reminder: All money (cash only) and order forms have to be turned in tomorrow, 10/5/18, for the cookie dough sales. Barton Lexa School District will run a double route today. Bus 17 will be held for about 25 minutes today, October 2nd. We apologize for the inconvenience. Thank you. Barton Lexa School District will hold bus 20 for about 25 minutes today, September 28th. We apologize for the inconvenience. Thank you. Barton-Lexa School District is rerouting traffic this afternoon due to construction work on the gravel road. All traffic will exit the campus behind the buses using the north drive. Thank you. All of the phones are down. We are working to repair the problem and will send an update out when there is one. We apologize for the inconvenience. Barton Bears will not play Marvell Mustangs tomorrow, August 31st. The senior high football game has been canceled. BLSD: Changes have been made to the school calendar. Parent teacher conference has changed from October 11th to October 18th and fall break has changed from October 12th thru 15th to October 19th thru 22nd. We apologize for any inconvenience. Due to field conditions, Pride Night will be rescheduled to next Monday, August 27th at 6:00 at Frank McClellan Field. It's not too late to enroll your child in Barton Elementary's kindergarten class this year. Register this week! BLSD will dismiss at 2:00 today, May 16th and tomorrow, May 17th. School will dismiss at 1:00 on Friday, May 18th. We hope everyone has a safe and restful summer! Barton Band and Choir will have a concert, tomorrow, May 8th at the Kirkland Facility at 6:30. Admission is free but donations are welcome. Barton Lexa School District is on complete lock down due to down power lines. Please do not try to come on campus until Entergy arrives and everything is deemed safe. Thank you. Barton Elementary May Day is this Friday, May 4th from 9:30 to 11:30. Arm bands are on sale now for $5.00. Please visit www.bartonsd.org for more information. BLSD will have to run a double bus route today, 4/26/18. Bus 20 will be about 20 minutes late. Also, there will be no classes tomorrow, 4/27/18. Enjoy your long weekend! BLSD will have to run 2 double bus routes today, 4/20/18. Bus 20 and bus 14 will be about 20 minutes late. BLSD will have to run a double bus route today, 4/19/18. Bus 20 will be about 20 minutes late. May Day T-Shirt sales have been extended to Friday, April 20th. BLSD will close the gravel exit drive on Wednesday, April 18th due to construction. Please be patient and cautious of the alternate route. Reminder: Barton Elementary May Day shirts are on sale now. The last day to order is this Wednesday, April 18th. Order forms can be found on the schools website or stop by the elementary office. The special olympics t-ball tournament that was scheduled for Monday has been cancelled due to wet fields. It will be rescheduled for a later date. BLSD will have to run 2 double bus routes today, 4/12/18. Bus 28 and bus 17 will be about 20 minutes late. BLSD will have to run a double bus route today, 4/10/18. Bus 20 will be about 20 minutes late. BLSD will have to run a double bus route today, 4/5/18. Bus 27 will be about 20 minutes late. BLSD will have to run a double bus route today, 4/4/18. Bus 20 will be about 20 minutes late. BLSD will not have classes tomorrow, 3/30/18, in observance of Good Friday. Also, baseball and softball games for today in Dollarway have been canceled. BLSD will have to run a double bus route today, 3/27/18. Bus 20 will be about 20 minutes late. BLSD will have to run a double bus route today, 3/26/18. Bus 17 will be about 20 minutes late. BLSD will have to run a double bus route today, 3/14/18. Bus 28 will be about 20 minutes late. BLSD will have to run a double bus route this morning, 3/14/18. Bus 10 will be about 45 minutes late. BLSD will dismiss early on Thursday, 3/15/18 at 1:30 for Parent/Teacher Conference. Conferences will be from 2:00 to 7:00. Bus 20 will be about 20 minutes late today. Barton's Got Talent!! Tonight in the Kirkland Multipurpose Facility @ 6:30. Tickets are $2.00. Come out to show your support for our students! BLSD will have to run a double bus route today and tomorrow, 3/12/18 and 3/13/18. Bus 20 will be about 20 minutes late. BLSD will have to run 2 double bus routes today, 3/9/18. Bus 20 and 16 will be about 20 minutes late. BLSD will have to run a double bus route today, 3/6/18. Bus 20 will be about 20 minutes late. BLSD will have to run a double bus route today, 3/5/18. Bus 20 will be about 20 minutes late. BLSD will have to run a double bus route today, 3/1/18. Bus 17 will be about 20 minutes late. Also, due to high water, we will run modified bus routes. Buses will not travel roads that are under water. BLSD will have to run a double bus route today, 2/27/18. Bus 20 will be about 20 minutes late. Due to high water, Barton bus routes will be modified. We apologize for the inconvenience. BLSD will have to run a double bus route today, 2/20/18. Bus 20 will be about 20 minutes late. 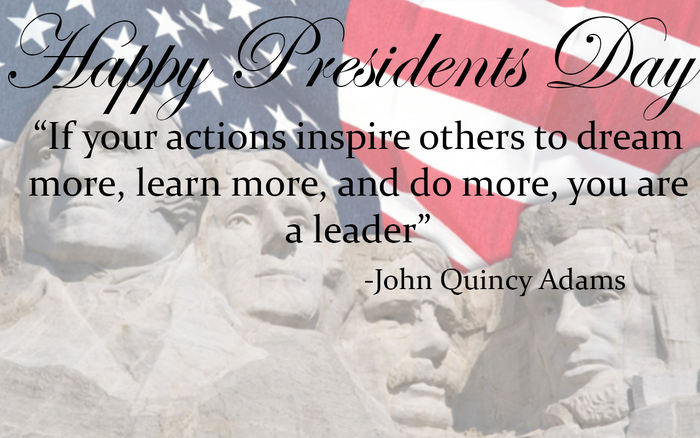 BLSD will be out of school Monday, 2/19/18, in observance of President's Day. Barton elementary class pictures will be tomorrow, February 15th. The Elementary Black History Program has been moved to February 22nd due to several students being ill. Elementary class pictures will be Thursday, February 15th. BLSD will have to run two double bus routes today, Monday, 1/22/18. Bus 29 and 17 will be about 20 minutes late. We apologize for the inconvenience. BLSD sent home A.M.I. packets for days 3 and 4 today. All A.M.I. packets are due on Thursday, 1/25/18. If your student does not turn in all 4 packets on that date, they will receive a 0 for all assignments not turned in and be counted absent for those days. Barton Lexa School District will have classes tomorrow, Friday, January 18th. Classes will start at regular time. Please be cautious coming to school in the morning because some spots may still be icy. Thank you. Barton Lexa School District will be closed tomorrow, Thursday, January 18th, due to impassable back roads. A M I packets for day 3 and 4 will be given out when we return to school. Stay warm and safe. Thank you. Barton Lexa School District will be closed tomorrow, Wednesday, January 17th, due to icy road conditions and below freezing temperatures. A M I packets for day 3 will be given out when we return to school. Stay warm and safe. Thank you. Barton Lexa School District will be closed today, today, Tuesday, January 16th, due to inclement weather. Classes and ball games have been cancelled. A M I packets for day 2 need to be completed. Stay warm and safe. Thank you. Barton Lexa School District will be closed today, Friday, January 12th, due to inclement weather. Classes and ball games have been cancelled. A M I packets for day 1 need to be completed. We will also be out Monday, January 15th, in observance of Matin Luther King Jr. Day. Stay warm and safe. Thank you. BLSD: Teachers sent home an alternative method of instruction packet with each student today. This work is to be completed if we are out of school due to inclement weather. For more information on the AMI packets, please visit the schools website at www.bartonsd.org. If we get winter weather, a decision will be made around 6:00 a.m. Also, School will be closed on Monday, 1/15/18, in observance of Martin Luther King Jr. Day. BLSD will have to run two double routes today, 1/5/18. Bus 16 and 24 will be about 20 minutes late. BLSD: We will dismiss at 1:00 today, Friday, 12/15/17. Have a great Christmas Break. See you all January 3rd, 2018. The previous message had a miss-type. Classes will resume January 3rd, 2018. School will dismiss at 2:00 on 12/13/17 & 12/14/17. Classes will dismiss at 1:00 on Friday, 12/15/17. We hope everyone has a joyful holiday season and a relaxing break. BLSD will dismiss at 2:00 on 12/13/17 & 12/14/17. Classes will dismiss at 1:00 on Friday,12/15/17. Classes will resume on Wednesday, 1/8/18. We hope everyone has a joyful holiday season and a relaxing break. The basketball games scheduled for Friday, 12/15/17, at 5:00 p.m. has been changed. The games will begin at 4:00 on 12/15/17. Games are at home. Good luck Jr. Boys, Sr. Girls, and Sr. Boys! Go Bears! Barton Lexa School District will have to divert traffic due to the utility company blocking the north drive. All traffic will have to exit behind the football field onto highway 49. Barton Bears softball team is having Breakfast with Santa, Saturday, 12/2/17, from 9:00 to 11:00 a.m. Tickets are $7.00 in advance or $8.00 at the door. Breakfast is all you can eat pancakes, sausage, and eggs. Photographer pictures with Santa will be $5.00 each. Kids can make reindeer food, write letters to Santa, color holiday pictures, and more! Also, many coats, scarves, and lunchboxes have been turned in to the elementary office. If your child is missing any, please come by the elementary office. BLSD: We will run 2 double bus routes today, 11/17/17. Bus 29 and 20 will be about 20 minutes late. Also, Barton Bears will take on the Charleston Tigers tonight in the 2nd round of playoffs. Kick off at 7:00. You can watch it live here: http://livestream.com/accounts/14770907/events/7936937 GOOD LUCK BEARS!!! BLSD Tobacco Prevention Program billboard contest ends tomorrow, 11/16/17. All students need to submit their art work to the school office by the end of the day. Thank you for your participation. If you can't make it to Frank McClellan Field tonight to watch the Bears take on the Paris Eagles in the 1st round of the playoffs, watch it live here: http://livestream.com/accounts/14770907/BearsEagles2017playoffs Go Bears!! Join us this evening, November 9th,from 5-6:00 p.m. in the Kirkland Facility for our FREE Family Fun Night Event: A Carnival of Learning. We will provide a free chili supper for families, science magic, family activities, book raffle for students, child care for children ages 3-4, and much more! BLSD: Students that have not picked up your Yankee Candle orders, you may do so Thursday, 11/9/17, from 5:00 to 6:00 in the Kirkland Facility. BLSD students who sold Yankee Candles can come pick up their orders, tomorrow, 11/7/17, from 4-6 in the Kirkland Facility. BLSD: Will run 2 double routes today, Thursday, 11/2/17. Bus 20 & 29 will be held for about 20 minutes. Also, Barton Bears will take on Rosebud tonight at 7:00 at Rosebud for the last regular conference game. Stream the game here: http://livestream.com/accounts/14770907/BearsRamblers2017 Go Bears! Barton Bears will play Rosebud tomorrow, Thursday,11/2/17, at Rosebud. Kick off at 7:00. There was a misprint in the local newspaper. The game will NOT be at home. This will be the last regular conference game for the Bears. Barton Lexa School District's Fall Festival is this evening, October 30th from 5:30 to 7:30. All students, parents, grandparents, and community members are invited to attend. BLSD:Fall Festival will be Monday, 10/30/17, from 5:30 to 7:30. We will have carnival games, hayride, bounce houses, haunted house, bingo, karaoke, Trunk or Treat, and much more! All games require tickets and tickets will be fifty cents each. King and queen crowning will begin at 7:30. Come join us for a SPOOKTACULAR evening in your FABOOLOUS costumes! BLSD: Double bus route today, 10/26/17. Bus 27 will be about 20 minutes late. All Barton students are encouraged to participate in the Tobacco Prevention Billboard Design Contest for a chance to have your artwork displayed on a local billboard! 3 winners will be chosen. Submit your artwork to your school office by November 16th. See the flyer on our website for rules and guidelines. BLSD will have to run a double route today, 10/23/17. Bus 24 will be held about 20 minutes today. BLSD: Parent/Teacher Conferences: tomorrow, 10/12/17 from 2:30 to 6:00 in the Kirkland Facility. School will dismiss at 2:00 for fall break. Classes will resume Tuesday, 10/17/17. BHS Cheerleaders will not have cheer clinic after school today, 9/29/17. Students that are in the cheer clinic need to be at the ball game by 7:30 tonight. BLSD will have to run a double route today, 9/28/17. Bus 29 will be held about 20 minutes today. Barton Elementary Library is hosting a Book Fair this week, 9/25-29/17. Please come and support our library. Barton Bears will take on the Mayflower Eagles tonight in Mayflower. Kick off is at 7:00. Watch it live here: http://livestream.com/accounts/14770907/events/7740179 GO BEARS!!! BLSD will have to run 2 double route today, 9/22/17. Bus 20 and 29 will be held about 20 minutes today. Watch the Barton Cubs take on the Mayflower Eagles tonight at Frank McClellan Field. Kick off 6:00. Watch it live online at http://livestream.com/accounts/14770907/events/7739086 (No commentaries tonight) Go Cubs! We encourage everyone that is registered to vote in our district to get out and vote yes for the millage today, 9/19/17. Voting poll locations are: West Helena Water Department, Spring-Lake Church, Lexa Fire Department, Barton Fire Department, Fuller Seed Company (Poplar Grove), Lakeview City Hall. Polls are open until 7:30 p.m. Please vote yes! Thank you for supporting our school. BLSD: Annual Title I meeting and annual report to the public will be today, 9/11/17 at 6:00 in the Elementary Conference room. The regular board meeting will immediately follow. BLSD: Annual Title I meeting and annual report to the public will be Monday, 9/11/17 at 6:00 in the Elementary Conference room. The regular board meeting will immediately follow. BLSD will have to run a double route today, 9/8/17. Bus 29 will be held about 20 minutes today. BLSD Progress reports were sent home today, 9/6/17. BLSD will have to run a double route today, 9/6/17. Bus 28 will be held about 20 minutes today. BLSD will have classes today, 9/1/17. Buses will run at normal time but will be mindful of road conditions. Some routes may be shortened due to flooding. Also, there will be no classes, Monday, 9/4/17 for observance of Labor Day. Everyone please have a safe weekend! Barton Junior High football game scheduled for tonight, 8/31/17, has been canceled. BLSD will have to run a double route today, 8/29/17. Bus number 27 will be about 20 minutes late. BLSD's 2nd community meeting is today, 8/29/17 at 6:00 in the Lakeview Gym. We urge everyone to attend. Mr. Tollett will explain the millage and the effects it will have on the Barton-Lexa School District. BLSD will have to run a double route today, 8/23/17. Bus number 28 will be held for about 20 minutes. 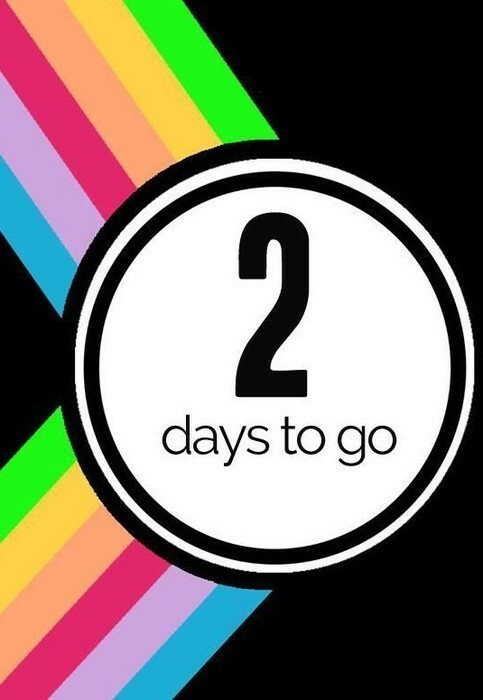 Barton-Lexa School District's first community meeting will be in 2 days,Thursday, August 24th, at 6:00 p.m. in the Kirkland Multipurpose Facility on campus. Superintendent, David Tollett, will present on the importance of the millage and the effects it will have on the Barton-Lexa School District for many years to come.The 1955 Primary Building will also be open from 5:00 to 6:00 p.m. on that date for public viewing. We urge all parents, students, community members, and stakeholders to attend this important community meeting. Congratulations to the Barton High School for achieving the 2017 National Beta School of Merit status! Keep up the great work! 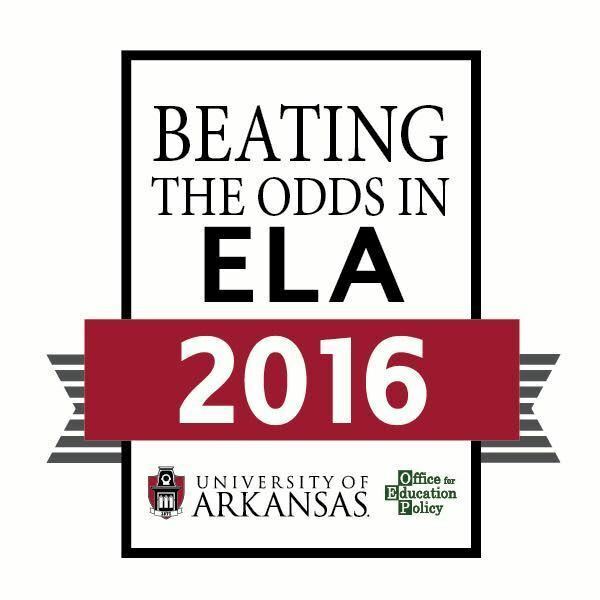 Congratulations to the Barton Elementary for being awarded with "Beating the Odds" in English-Language Arts in 2016 by the University of Arkansas! Keep up the great work! BLSD Open House will be tomorrow, 8/3/17, from 12:00 to 6:00. We encourage all parents and students to come and meet your teachers and get information for the 2017-2018 school year. The school supply lists posted in the Helena Daily World newspaper is not the correct supply list. Please got to our website (www.bartonsd.org) to see the correct supply lists. Some of the supply lists have been updated and the changes are highlighted in yellow. BHS will be selling lockers for $6.00, today, 7/25/17 through Thursday, 7/27/17. Lockers will not be sold on Friday, 7/28/17. BHS students can pick up their schedules and request changes starting tomorrow, Tuesday, 7/18/17, through Thursday, 7/20/17. Please see Mrs. Miller between 8:30 and 3:30. BHS students can pick up their schedules on 6/13/17 & 6/14/17 in Mrs. Miller's office from 9:00 to 4:00. BLSD will have to run a combined route today, Wednesday, 5/17/17. Bus 28 will ride with bus 26. The students on bus 28 will be a few minutes late. We hope everyone enjoys their summer break! BLSD will dismiss at 2:00 on Monday and Tuesday, May 15th and 16th and at 1:00 on Wednesday, May 17th. BLSD will offer sports physicals for the 2017-18 school year, tomorrow, 5/10/17. Students must bring their papers back signed to get the physical. Barton Elementary May Day that is scheduled for tomorrow, May 5th, has been postponed to Monday, May 8th. We apologize for the inconvenience. Band Concert tonight in the Kirkland Facility at 6:30pm; free admission. Also, BLSD will have to run a double bus route today, 4/27/17. Bus number 29 will be about 20 minutes late. We apologize for the inconvenience. BLSD will have to run a double bus route today, 4/25/17. Bus number 27 will be about 20 minutes late. We apologize for the inconvenience. BLSD will have to run a double bus route today, 4/18/17. Bus number 27 will be about 20 minutes late. We apologize for the inconvenience. BLSD will not have classes on Friday, 4/14/17, or Monday,4/17/17. The last day to purchase May Day shirts is next Wednesday, 4/19/17. BLSD will have to run a double bus route today, 4/6/17. Bus number 29 will be about 20 minutes late. We apologize for the inconvenience. BLSD will have to run a double bus route today, 4/4/17. Bus number 29 will be about 20 minutes late. We apologize for the inconvenience. Barton Cheerleaders are sponsoring a Daddy Daughter and Mom Son Dance on Friday, April 7th, from 6:00 to 9:00 in the Kirkland Facility. The dance is for students in grades Pre K through 6th. Tickets are $5.00 each and can be purchased by your child's teacher. SR. Beta Club induction ceremony will be tomorrow, 3/31/17, 9:30 a.m. in the Kirkland Facility. BLSD will have to run a double bus route today, 3/29/17. Bus number 29 will be about 20 minutes late. We apologize for the inconvenience. Barton Elementary is having a Kindergarten Round-up meet & greet tomorrow, 3/29/17, 5:00-6:00 in the kindergarten building. Parents and students with upcoming kindergartners are encouraged to attend. The 2017-2018 Junior High Cheerleaders are 1,2,4,5,7,12,14,15,16,17. The 2017-2018 Senior High Cheerleaders are 1,2,3,5 co-captain, 7 captain, 9,11,12. Congratulations to all the girls!! BLSD will have to run a double bus route today, 3/16/17. Bus number 29 will be about 20 minutes late. We apologize for the inconvenience. BLSD Parent/Teacher Conferences will be tomorrow, Wednesday, 3/15/17, from 2:30 until 7:00 in the Kirkland Facility. School will dismiss at 2:00 p.m. on Wednesday. Parents will not be allowed in the cafeteria for conferences until 2:30 p.m. This will allow for traffic to clear and teachers to set up for the conferences. Elementary and High School will meet with parents in the cafeteria. Thank you in advance for you cooperation in this matter. BLSD Parent/Teacher Conferences will be Wednesday, 3/15/17, from 2:30 until 7:00 in the Kirkland Facility. School will dismiss at 2:00 p.m. on Wednesday. Parents will not be aloud in the cafeteria for conferences until 2:30 p.m. This will allow for traffic to clear and teachers to set up for the conferences. Elementary and High School will meet with parents in the cafeteria. Thank you in advance for you cooperation in this matter. BLSD will host a high school math night at 5:00 p.m. today, 3/13/17, in the high school seminar room. All parents and students are invited to attend. BLSD will have to run a double bus route today, 3/13/17. Bus number 29 will be about 20 minutes late. We apologize for the inconvenience. Barton Elementary Book Fair will be Friday, 3/3/17-Friday, 3/10/17. Please come support our library. BLSD will have to hold all school buses until 3:20, today, 3/1/17, due to a late field trip. Elementary car rider line will run as normal. We apologize for the inconvenience. BLSD will be out Monday, 2/20/17, to observe President's Day . Enjoy your 3 day weekend! Winter Formal will be March 3, 2017, 7 pm-10 pm, for 7th-9th graders. Tickets on sale now. Tickets will not be available at the door. BLSD will host a Red Cross blood drive tomorrow, 2/10/17, 9:00-2:00. We encourage all students and community members that are 16 or older to donate blood. If you are under 18 years old, you must have a parental consent to donate. Congratulations to Kailen Clark and Anna Baker for being placed into the All-Region Band! On Saturday, January 14th, hundreds of students from around Arkansas competed as soloists to be placed into the All-Region Band, and Kailen and Anna are being honored by getting to perform on Saturday, January 21st at 3:00PM at the Searcy Performing Arts Center. Congratulations, we are proud of the both of you! BLSD will make up the snow day from 1/6/17 by extending the school day. Classes will extend their schedules to dismiss at 4:00 p.m. for the week of January 23rd-27th. BLSD will be out for observance of Martin Luther King day, Monday, 1/16/17. We are in the process of deciding how the snow day for 1/6/17 will be made up and hope to have that information out to everyone by tomorrow. BLSD bus #24, Mr. Travis William's bus, is running late today, 1/9/17. They will be about 10 minutes late. BLSD will be closed today, 1/6/17, due to inclement weather. BLSD does not anticipate any snow related closings or delays tomorrow. However, in the event that we do get significant snow/ice, a call will be sent out around 5:30 a.m. and a post will be made to Facebook. The Barton faculty and staff would like to wish all of our students and their families a happy holiday and a wonderful start to the new year. We will see you all on January 3, 2017. We wish you safe travels and a relaxing break! BLSD will dismiss at 2:00, tomorrow, 12/15/16, and 1:00, Friday, 12/16/16. We hope everyone enjoys their Christmas break. Barton-Lexa School District will dismiss 2pm tomorrow, December 14th and Thursday, December 15th. We will dismiss at 1 o'clock Friday 16th. Barton Lexa School District students who sold items for the P T O fundraiser, may come pick them up at the school cafeteria on Monday, December 12th, between 4:00 and 5:00. If you can not pick them up at that time, they will be sent home with the student on Tuesday, or you will need to call Mrs. Chaney at the high school to make arrangements to pick them up. Barton Band Concert is tonight, 12/8/16 in Kirkland Facility at 6:30pm. Admission is free. Please come and support our band! 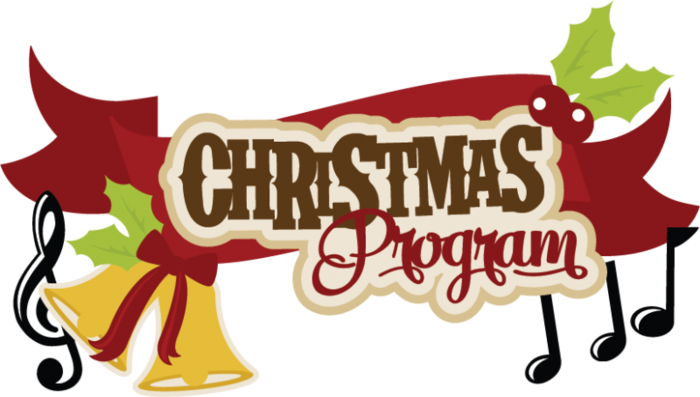 Parents & Grandparents are invited to attend our annual Elementary Christmas Program tomorrow, December 2nd at 9:00 a.m. in the Kirkland Facility. Students in grades kindergarten-6th will perform. We will attempt to broadcast the program using Facebook Live and upload a recording after the program for those who can not make it. BLSD will have to run a double route today, 11/11/16. Bus number 17 will be held for 20 minutes. We apologize for the inconvenience. Barton Elementary cookie dough has come in. Parents and students can pick up cookie dough today, 11/11/16, from 2:00 to 5:30 in the gym lobby. Barton Elementary's cookie dough did not arrive today as planned. We will let everyone know when it will be delivered. We apologize for any inconveniences. BLSD will have to run a double route today, 11/4/16. Bus number 29 will be 20 minutes late today. We apologize for the inconvenience. BLSD will have to run a double route today, 11/3/16. Bus number 29 will be 20 minutes late today. We apologize for the inconvenience. Barton Elementary cookie dough did not come in as expected. Cookie dough pick up will be next Wednesday, 11/9/16, from 2:00 to 5:30. Pick up cookie dough in front of the Kirkland Facility. We apologize for the inconvenience. Barton Elementary cookie dough can be picked up today, 11/1/16, from 2:00 to 5:30. Pick up cookie dough in front of the Kirkland Facility. BLSD will have their Annual Fall Festival tonight, 10/31/16, from 5:30 to 7:30. We will have carnival games, hayride, bounce houses, haunted house, bingo, cake auction, Trunk or Treat, and much more! Bingo and Cake auction will be in the Kirkland Facility from 5:30 to 7:00. King and Queen Crowning will be at 7:30. Come join us for a SPOOKTACULAR evening in your FABOOLOUS costumes! BLSD will have to run a double route today, 10/28/16. Bus number 29 will be 20 minutes late today. We apologize for the inconvenience. School will be closed Monday, October 24, for fall break! Enjoy your long weekend! School will dismiss at 2:00, tomorrow, 10/12/16, for Parent/Teacher Conferences. Parent/Teacher conferences will be from 2:30 to 7:00. Cookie Dough money and orders are due tomorrow, 10/11/16. Also, Punt, Pass, and Kick, is tomorrow starting at 1:00. Barton-Lexa School District will have their annual report to the public meeting on Monday, October 10th at 6:00 p.m. in the Elementary conference room. Barton Elementary School is hosting a book fair. The book fair will run October 10th through the 14th. Thank you for supporting our school library. Barton -Lexa School District will have to run a double route today, Thursday, October 6th. Bus number 29 will be about 20 minutes late. We apologize for the inconvenience. Thank you. BLSD Literacy Night is tonight, 10/4/16, 6:00-7:00 in the Kirkland Facility. All parents and students are invited to attend! See you there! BLSD: We will run a double route today, 9/30/16. Bus number 29 will be about 20 minutes late. We apologize for the inconvenience. Homecoming Dress Up Days are: 'Merica Monday, Tropical Tuesday, On Wednesday We wear Pink, Throwback Thursday, On Friday we wear Maroon Homecoming week is next week, 10/3/16-10/7/16. Barton -Lexa School District will have to run a double route today, Thursday, September 15th. Bus number 29 will be about 20 minutes late. We apologize for the inconvenience. Barton will have to run a double route today, Thursday, 9/1/16. Bus number 27 will be about 20 minutes late. We apologize for the inconvenience. Jr Jamboree at Dewitt on 8/25/16 @ 5:00. Barton Bear Fans: Varsity Spirit Sales Day will be today, August 24 at 4:00 pm in the Kirkland Facility. Come order your little cheer uniforms, jerseys, and fan gear from Varsity Spirit. Orders must be paid upon ordering! Varsity accepts personal checks or major credit cards. Barton Bear Fans: Varsity Spirit Sales Day will be Wednesday, August 24 at 4:00pm in the Kirkland Facility. Come order your little cheer uniforms, jerseys, and fan gear from Varsity Spirit. Orders must be paid upon ordering! Varsity accepts personal checks or major credit cards. PTO will meet today, 8/15/16 at 5:30 in the Kirkland Facility. All parents are invited to attend. The Barton Bear Booster Club is meeting today, 8/10/16, at 5:30 in the cafeteria. Everyone is invited to attend. Pride Night will be August 11th at 6:00 pm. Please bring washing liquid powder or Oxy detergents to help support the Barton Bears! BLSD Open House will be tomorrow, 8/4/16 from 12:00-6:00. Parents and students are encouraged to attend. *REMINDER* Huge auction at 10:00 a.m. 7/30/16. Please visit www.bartonsd.org for pictures and more information. BHS Band and Choir concert tonight, 5/12/16 at 6:30 p.m. in the Kirkland Facility. Admission is free. Please come and show your support! 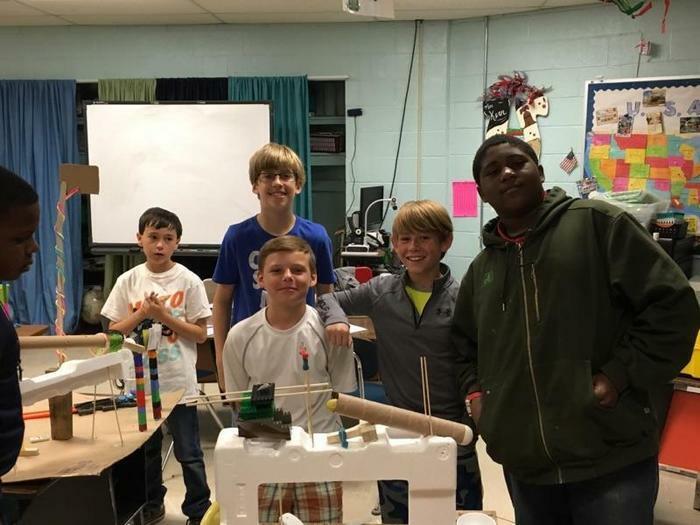 Barton Elementary 6th Graders made awesome science projects! AP TESTING BEGINS 5/2/16. GOOD LUCK STUDENTS!! Barton Elementary May Day shirts must be paid for by tomorrow, 4/27/16. Shirts are $15.00 each. Order forms and more information can be found at www.bartonsd.org or in the elementary office. BHS: Parents night for 7th & 8th grade parents and guardians 4/26/16 @ 6:00 in the Kirkland Multi Purpose Facility. Administrators will explain schedule offerings and give the parents time to review and confirm their students' schedule requests for the 2016-17 school year. Also, May Day shirt orders must be turned in by Wednesday, 4/27/16. Be sure to stay up to date with what is going on at Barton School by checking us out at www.bartonsd.org and by downloading our app! The Delta Gear Up staff will be accepting applications for their summer program that will be held June 6th until July 1st at PCCUA for all rising 7th-12th grade students. The deadline to turn in applications is April 22nd. Please contact Krystal Johnson at the high school for more information. BLSD will have to run a double bus route today, 4/18/16. Bus # 16 will be delayed about 20 minutes. We apologize for the inconvenience. BLSD will be out on Monday, 4/11/16, for Spring Day. 3rd-10th graders will start state tests on Tuesday, 4/12/16. Enjoy your long weekend and good luck to all students testing next week! Reminder: School will be out Monday, 4/11/16, for Spring Day. Also, 3rd-10th graders will take the State ACT Aspire tests next Tuesday-Friday. Please make sure your students get a good nights rest and eat a healthy breakfast. Barton High School Skills USA Plant and Flower Sale is going on now until the last day of school, Monday through Friday, from 7:30 a.m. to 4:30 p.m. at the Greenhouse between the football field and the bus parking lot. For more information contact Mike Funk at 870-572-7294 extension 3401 or 870-995-6504. "Barton's Got Talent!" show is tonight, 3/30/16, at 6:30 in the Kirkland Facility. Tickets are $2 at the door. Please come and support Barton High School Band. Bus # 27 will be about 20 minutes late today, 3/29/16. We apologize for the inconvenience. Jamarcus Brider, a 2011 graduate of Barton High School, has been accepted to The New York College of Osteopathic Medical School. 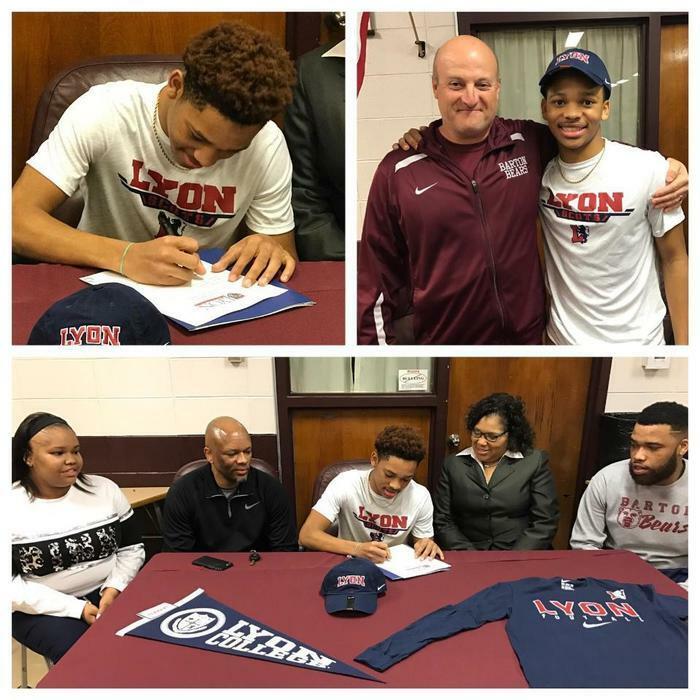 Congratulations Jamarcus! School will dismiss at 2:00 today. Parent/Teacher Conference will be 2:30-7:00 today. School will dismiss at 2:00 tomorrow, 3/16/16, for parent/teacher conferences. Parent/teacher conferences will be from 2-7. Barton Elementary is having Book Fair this week, 3/14-18/16. Book fair will be open during Parent/Teacher conferences. Please come and support the Elementary Library. Don forget: Mom/Son dance is tonight! 6-8:30 in the Kirkland Facility. $5.00 per person! Western Themed! Barton Bus number 22 and 23, the Lakeview routes, will be about 25 minutes late due to road closings. The buses will take alternate routes to get to the Lakeview area. Again, we will have school tomorrow, 3/11/16. However, buses will not run in low lying areas where the roads are flooded. We apologize for any inconveniences. Also, the Mom/Son dance is still on for tomorrow. Grades PK-6. $5.00 per person. The 3rd grade field trip has been canceled for today. It will be rescheduled. We will have school tomorrow, 3/10/16. However, buses will not run in low lying areas where the roads are flooded. We apologize for any inconveniences. Barton Lexa School District will participate in School Choice for the 2016-17 school year. Applications can be picked up now in the Administration office. Applications must be returned to the Administration office by 5/1/16. Only 24 applications will be accepted. Bus #16 (Mr. Williams) will be held approximately 30 minutes this afternoon due to a double route. We apologize for the inconvenience. Daddy/Daughter dance is tonight at 6:00 in the Kirkland Facility. $10.00 per couple. Grades PK-6. Today's softball game at Palestine has been canceled. Make up game will be March 7th. 2016 Barton Yearbook sale has been extended! Yearbooks will be $40.00 (regular price $50.00) until Friday, March 18th. After Spring Break they will go back to $50.00, so purchase NOW!! Enjoy the warm weather we're having today. Go outside after school and get some exercise!